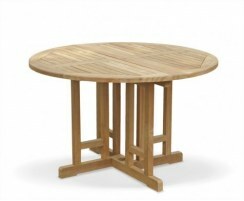 Our stylish, great-value Berrington round gateleg table and Bali side chairs set is modestly-sized so it can be easily incorporated into any outdoor setting for the perfect space-saving dining solution. 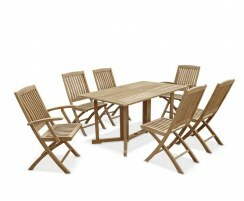 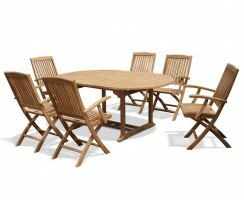 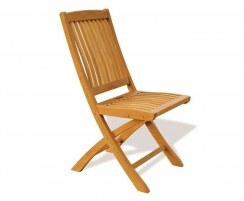 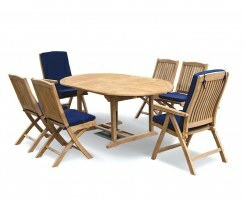 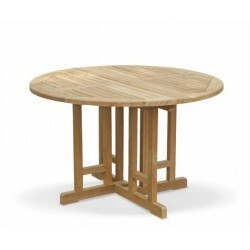 This four seater round garden dining set has been robustly constructed to the highest spec from the finest materials. 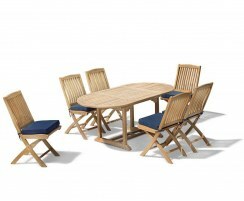 Crafted from durable, sustainable A-grade teak, this outdoor dining set boasts superior quality, durability and aesthetic appeal. 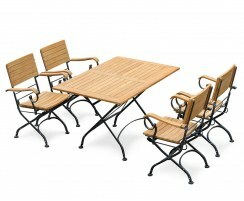 It can remain outdoors all year round, no matter the weather, but features a clever folding design so it can all be put away for space-saving storage. 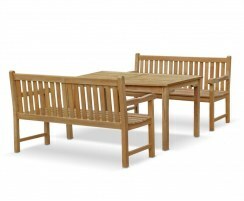 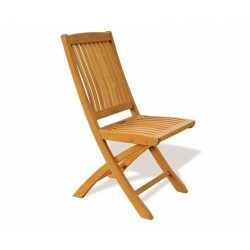 This garden dining set requires minimal maintenance, so you can spend less time looking after your garden furniture and more time enjoying it. 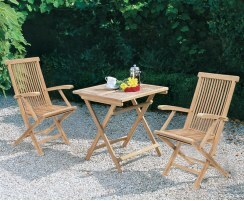 This Berrington round gateleg table and chairs set will be delivered fully assembled for your immediate satisfaction. 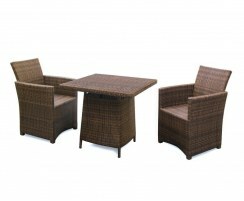 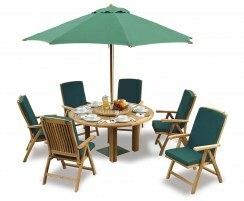 Why not accessorise this garden dining set with cushions and a parasol, (not included, available separately). 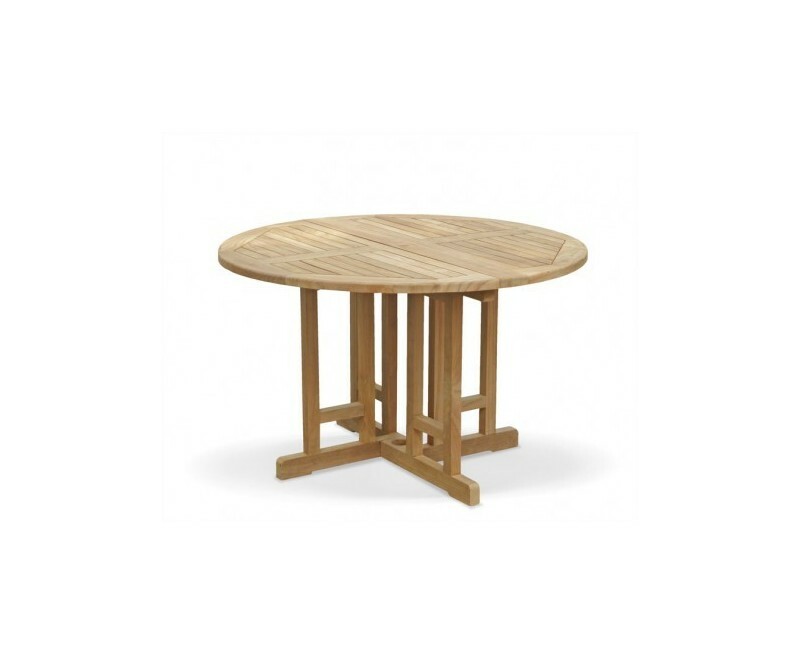 Please note that our Berrington 120cm table will not permit the use of a parasol base due to the low design of their pedestals. 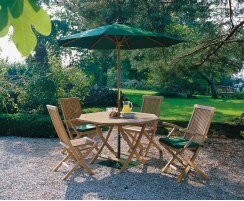 In this instance only, it is safe to use a parasol without a base.